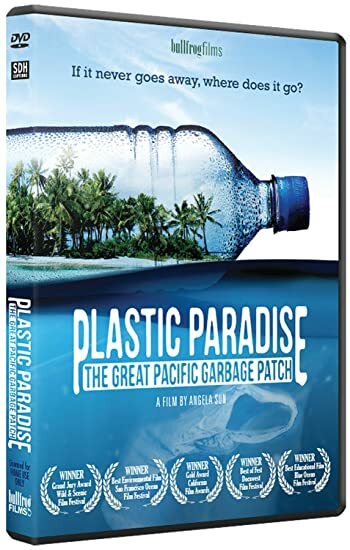 Plastic Paradise - BUY ON DVD! Thousands of miles away from civilization, Midway Atoll is in one of the most remote places on earth. And yet it's become ground zero for The Great Pacific Garbage Patch, siphoning plastics from three distant continents. In this independent documentary film, journalist/filmmaker Angela Sun travels on a personal journey of discovery to uncover this mysterious phenomenon. Along the way she meets scientists, researchers, influencers, and volunteers who shed light on the effects of our rabid plastic consumption and learns the problem is more insidious than we could have ever imagined. HOW TO WIN? SIMPLE. FIRST - Rate and place your comments to ANY 5 movies in our database. Just scroll down to the bottom of any review, drop a quickie comment and click "Submit Your Comments". THEN SEND IN YOUR NAME, ADDRESS AND 5 COMMENTS TO contests@efilmcritic.com. Put "SORRY I ASKED FOR PAPER PARADISE" in the subject line and cross your fingers. We will draw names and you could receive a copy.. Only 1 entry per household.